Home to an aristocratic Cornish family for five centuries, the Clowance Estate and Country Club, Cornwall is one of a kind. The Clowance Estate is set in 97 acres of magnificent landscaped parkland and beautiful woodland setting, some 20 minutes from both north and south Cornish coasts. It provides luxury holiday accommodation all year round. Blue Forest has established a reputation as the world’s leading treehouse consultancy and are renowned for designing buildings that reflect the environment in which they are built. At Clowance, the team at Blue Forest were tasked with creating a two-bedroomed forest retreat consisting of approximately 70 m2 of raised self-contained accommodation plus external balcony and dining deck. 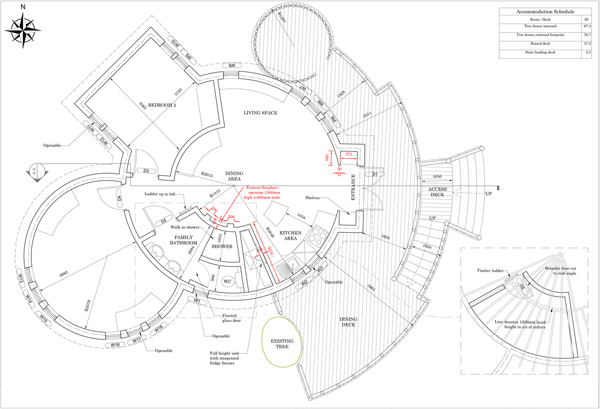 The final design for the living area incorporated two main intersecting circular elements (one radius 2600mm and the other 3700mm) and one rectangular zone. 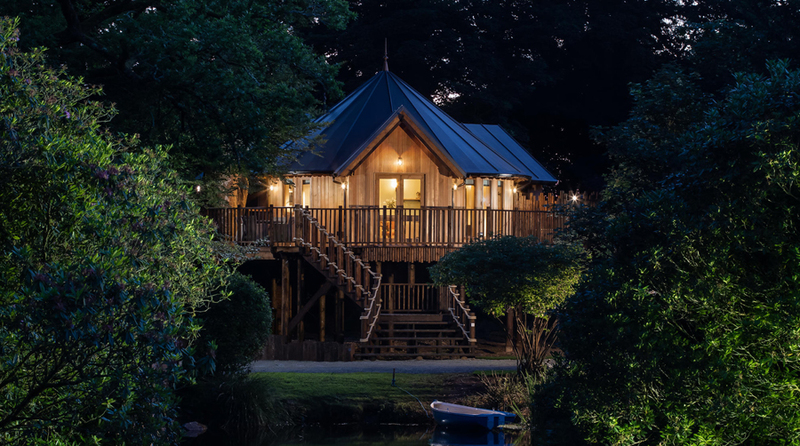 The Tree House is a new build holiday let set in the midst of a forest location and is adjacent to a lake. Its design juxtaposes modern materials and a bold sharp angular concept with the canopy and foliage of an established woodland. 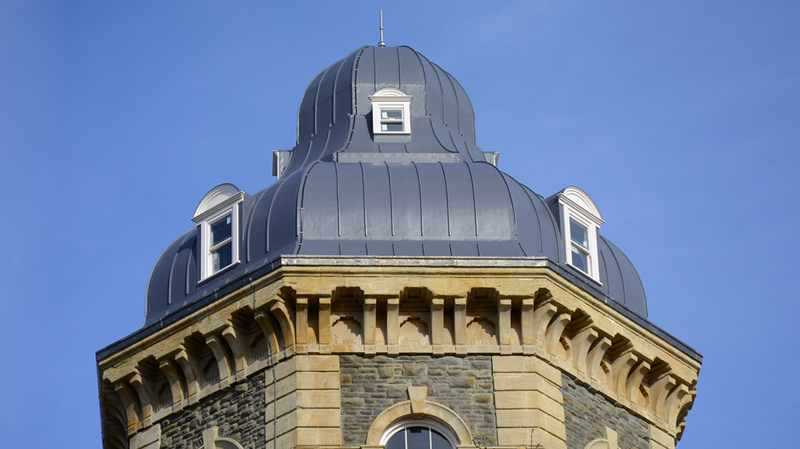 This striking concept demanded a roof covering not only meeting the high expectation regarding visual appearance (due to the degree of visibility accorded by the steepness of the slope) but also capable of seamlessly and robustly dealing with the various conical-to-conical and conical-to-dual pitch valley interfaces and curved fascia detail. Traditionally, cedar shingles would have been specified. 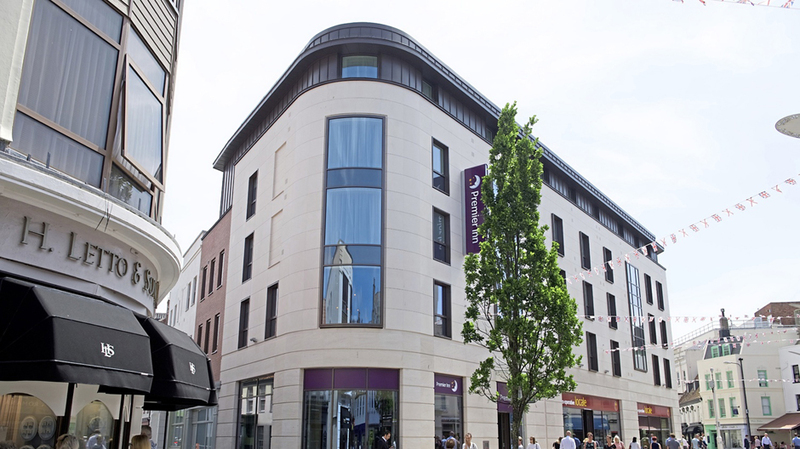 However, in view of the commercial remit of the project, longevity was top of mind when the specification choice was made. A single ply membrane with excellent sustainable credentials plus the added benefits of the mock seam profiles justified switching to a more contemporary material, Armourplan P single ply. 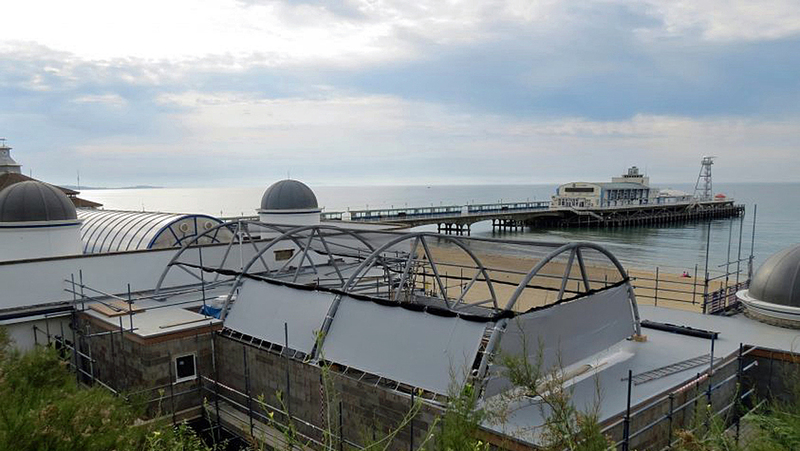 The membrane waterproofing membrane system was supplied by SIG Design & Technology. 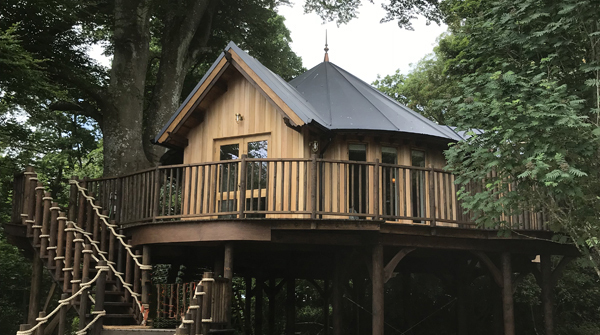 Installation of the Tree House roof was undertaken by Falmouth-based, Marnick Roofing which is one of the largest pitched and flat roofing contractors in Cornwall – offering quality and reliability to the commercial, construction and domestic roofing markets. Marnick Roofing’s installation teams comprise highly skilled and trained professional roofers. 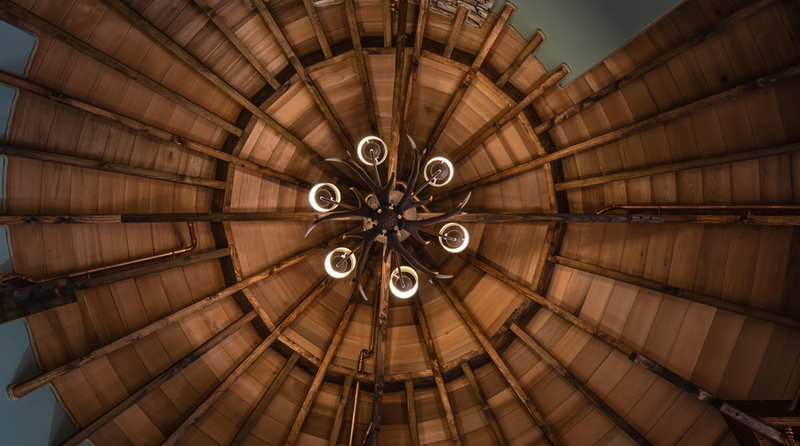 The Tree House’s main internally exposed support structure consists of 150mm x 50mm C16 timbers at 400mm tapering centres which were initially over-clad with 20 mm of red cedar (for internal aesthetics). Three layers of 6mm plywood were then introduced to the build up to lend a smoother but still faceted appearance. 110 m2 of fully bonded Armourplan P PVC membrane with standing seam profile was installed on a faceted deck using contact adhesive. 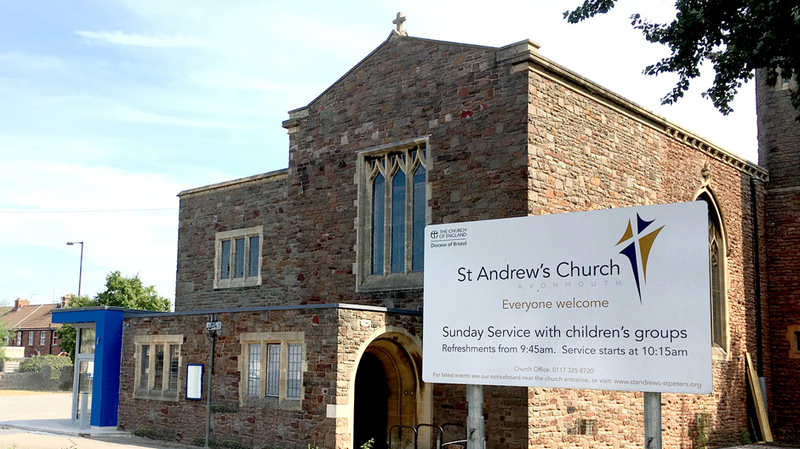 Due to the steeply designed pitch, not only was the install and setting out difficult, the finished installation is highly visible. To achieve the full impact of the design intent, it was essential to ensure that clean crisp lines of the field area and drip trim facets and standing seams were achieved through the highest standards of intricate workmanship. 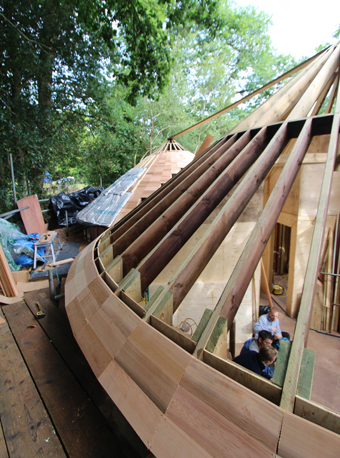 The installation took four weeks which, for such a small roof, maybe considered a long time. However, the complexity of the multi-faceting, sloping interfaces and steepness of pitch needed a slow and steady approach and the correct sequencing of works in order to ensure the best possible outcome for this stunning holiday home design. Marnick Roofing is a member of SIG Design & Technology’s Accredited Contractor scheme (DATAC) which ensures that designers, clients and main contractors deal with financially credible, trained specialist roofing contractors who have an on-going relationship with the products they work with and are supported on site to deliver high quality projects. 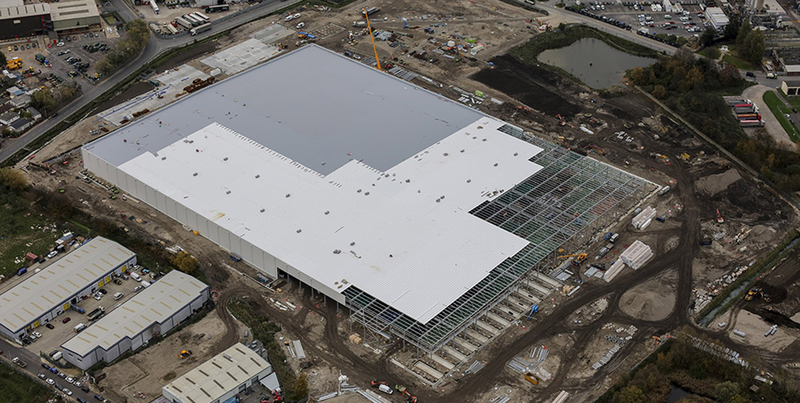 Field area technician, Jordon Hughes made regular site visits to support Marnick on this intricate and intriguing project, a clear example of SIG D& T’s commitment to its DATAC contractors in pursuit of construction excellence. Marnick joined DATAC in 2012 and have five installers who hold ”tickets” for Armourplan membrane having attended the SPRA approved courses at SIG D&T’s Training Academy in Shepshed. Only DATAC contractors can install roofing systems that have been designed, supplied and guaranteed by SIG D&T. Blue Forest team are passionate about the wellbeing of the environment and are keen to promote sustainable principles and ethics throughout the design and construction process of their projects. The majority of the timber used throughout all projects is FSC/PEFC certified or sourced from sustainably managed forests where there is an active strategy of replanting and habitat regeneration. 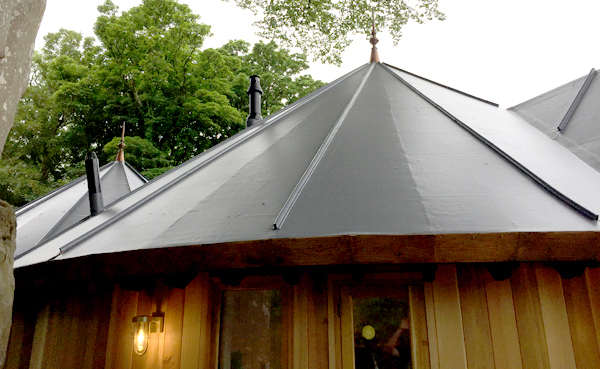 “We are delighted with the dark grey colour of the membrane and standing seam profiles seamlessly interfacing with the timber elements and the surrounding environment. IKO’s Armourplan single ply roofing membranes are the only single ply to be manufactured in the UK, lowering those “membrane miles”. All waste at point of manufacture is recycled and is used in the production of IKO Damp Proofing Membranes. Armourplan P is a 1.2mm thick polyester-reinforced PVC single ply roofing membrane suitable for use in a wide range of roofing applications on both flat and sloping roofs. The membrane can be installed onto most common substrates and is suitable for both new build and refurbishment installations and for specialist applications such as simulated metal roofs. Armourplan P offers enhanced mechanical properties over standard PVC membranes and is completely UV stable throughout. 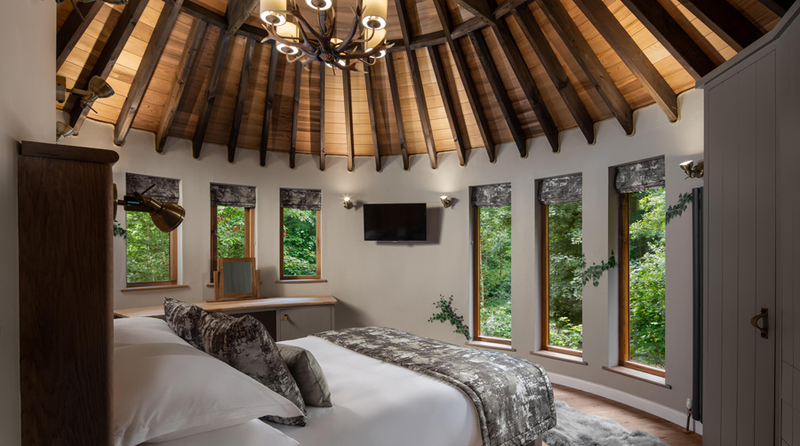 The Clowance Tree House has been entered into the SPRA Awards 2019 in the categories; best innovation and best sustainability.